Hello and good evening! I have been MIA these past couple of weeks; unfortunately, my life has been ridiculously busy with school etc. I break up on Thursday; right now, I feel like the whole world is holding its breath waiting for that end-of-term moment when we can finally collapse. The thought of Friday -- my first day off -- shines like a beacon of hope in a very frantic world. The big thing that's happened is this: I had my interview at Oxford! For those of you who don't know, I've applied to the University of Oxford to study English Lit, and I had an interview (or in fact, four interviews) there last week. It was a five-day trip, which I really enjoyed, though it was very tiring and somewhat stressful at points! But I will give you a proper post on my adventures, in the fullness of time. 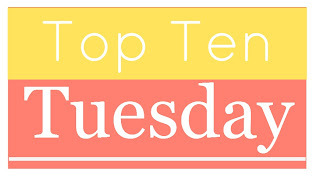 Today I'm linking up with Top Ten Tuesday, the weekly meme hosted by The Broke and the Bookish! The prompt this week is a big one: ten best books of 2015. Choosing is hard enough; to rate these in order would just about finish me off. So I'm going for the order in which I read them. This was my first book of 2015 and remains one of the very best. It's no secret how much I love the Raven Cycle (“Emily, we know!" you cry, “you never stop going on about it! "), and installment #3 had me hopping. Can I just say, the shipping is real. 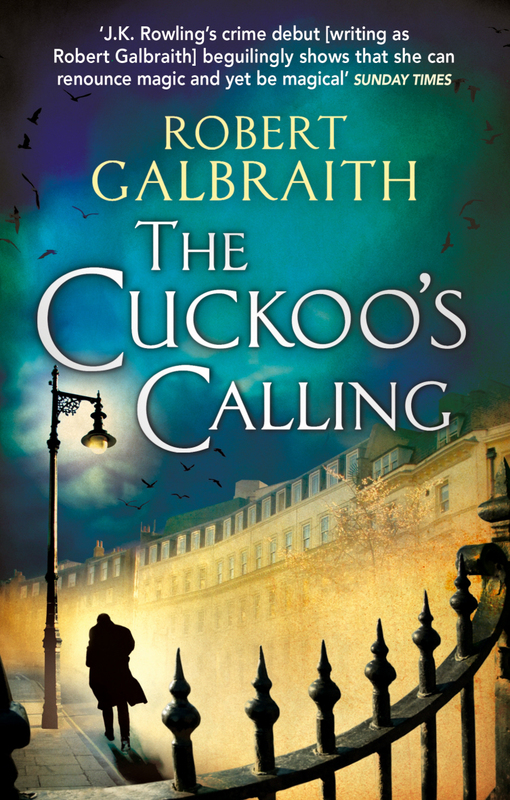 I was quite afraid to read this, because I love Harry Potter so much that I was nervous of Rowling's other work -- what if it wasn't as good? I loved this book for one reason. Jaime. Lannister. Compared to the rest of the series, it wasn't the best. 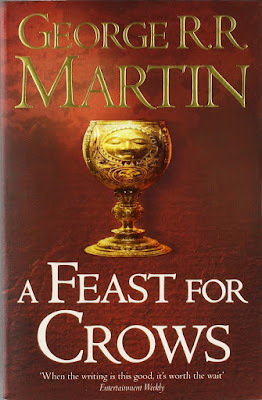 A Game of Thrones and A Storm of Swords were still more exciting and gripping, in my opinion. And I read A Storm of Swords: Blood and Gold this year, so why isn't it in this list instead? Again I say: Jaime. Lannister. Never have I ever read, across a series, a more perfectly developed character. If you're early on in A Song of Ice and Fire, you probably hate Jaime with all your heart and soul, and I don't blame you (much); I used to be the same! But as the books continue Martin masterfully reveals nuance after nuance of his character. In A Storm of Swords my sympathies were engaged. By A Feast for Crows, I was in love. That's why the book is in this list; Jaime is probably my best loved new character of this year. I'm reading A Dance with Dragons right now -- two hundred pages in he's still not appeared, and I miss him a lot. For more discussion of his character, go to my review here. For now, suffice to say, I love him, and I love this book. Yeah, so, this is two books, it's cheating, whatever. The Raven Boys introduced me to the wonderful world of Maggie Stiefvater, but obviously I was craving more Maggie in my life, so this summer I finally got round to these two beauties. They were brilliant: I ship Sam and Grace so hard I might explode, and Sam especially is utterly adorable and one of my favourite characters of the year, I love the paranormal aspects; I love the wintry feeling, the snow on the ground, the woods by Grace's house, the whole mood of the books. It all feels so real. I'm so so so so excited to read Forever. Read my full review of Shiver here. My second Eliot, after I read and loved Adam Bede. This book was just as good: really really beautiful prose, a wonderful heroine in Maggie, a heart-striking study of the nature of suffering. Highly recommended. A simple story of the First World War; a love story of incredible power. It's a deceptively straightforward book, but it will shake you to your foundations. I really loved this book a lot. 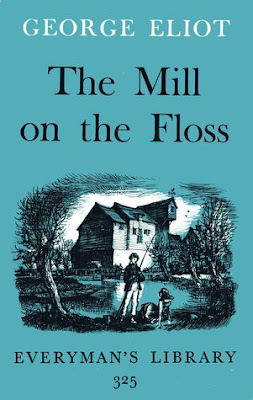 Another of my 2015 Top Three, and, incidentally, the book to which I'm comparing A Farewell to Arms in my Advanced Higher English dissertation. 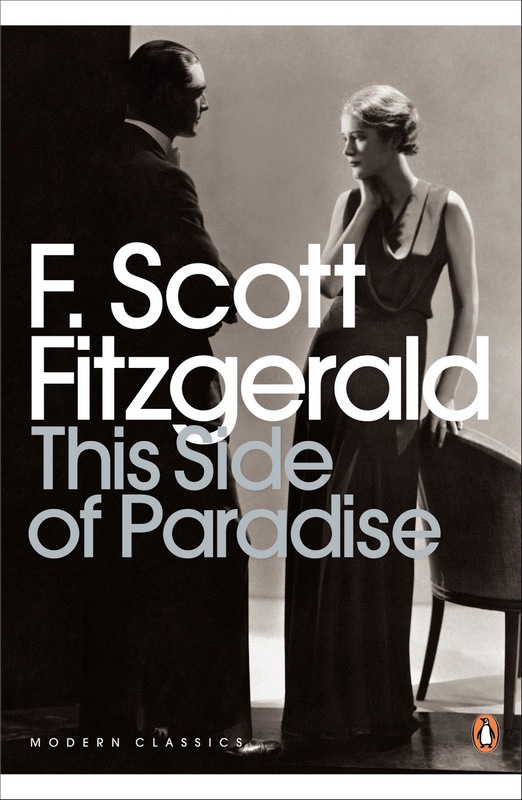 I love Fitzgerald (like, a lot) and This Side of Paradise was, no exaggeration, stunningly beautiful. “The sentimental person is convinced things will last. The romantic person has a desperate confidence that they won't." The book I'm studying in English. The Handmaid's Tale is a chilling dystopia in which women are state-sanctioned concubines and language is strictly controlled. 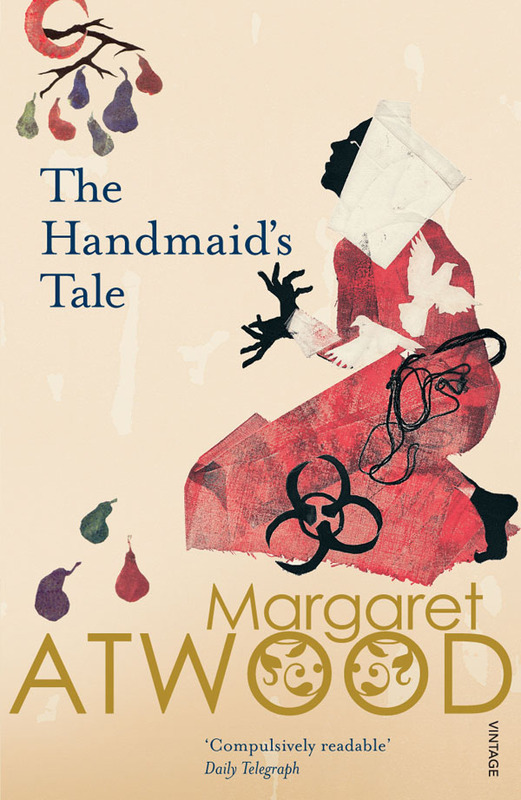 The craft of this book is amazing; our narrator, Offred, is rebelling against the patriarchal society in which she's trapped, and one of the ways she does this is to litter the text with palimpsests of literature and culture. Page to page, the writing is beautiful, and as a social study of our society, as well as reproductive ethics and issues of fertility, it's as astute as it is frightening. “I wait. I compose myself. My self is a thing I must now compose, as one composes a speech. What I must present is a made thing, not something born." 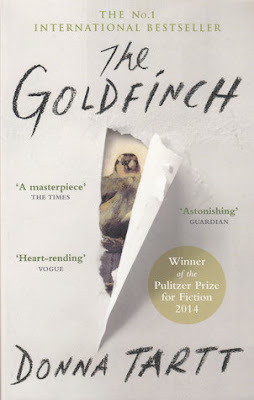 For what it's worth, The Goldfinch was my favourite book of 2015. Its scope is breathtaking. Its prose is unthinkably beautiful. The narrator, Theo, is one of the best developed characters I've read all year. As a book discussing art it is sublime; as a study of the human condition, unparalleled. The settings are tangibly beautiful. The plot and pace are flawless. Characterisation is perfect. I run out of words to describe this book. “For the deepest, most unshakeable part of myself reason was useless. She was the missing kingdom, the unbruised part of myself I'd lost with my mother. ... She was the golden thread running through everything, a lens that magnified beauty so that the whole world stood transfigured in relation to her, and her alone." 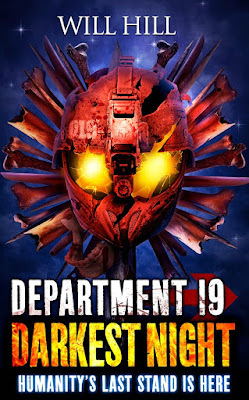 The fifth and final book of the marvellous D19 series. I really really love this series -- I've been reading it for four years, waiting patiently for each book -- and this, the conclusion, was really something. To end a series well is a huge challenge, but I thought this one was so well executed. I love the characters a lot. 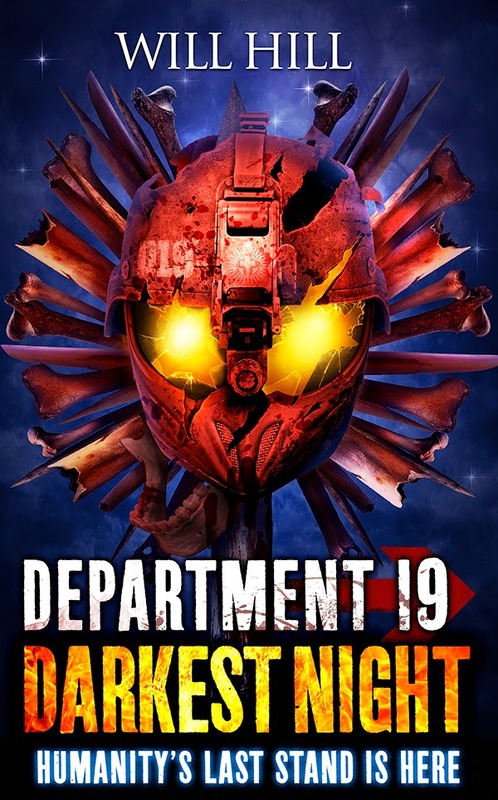 No one else I know has read D19 (except one friend, and I forced her), but I would so highly recommend it. Awful covers; but amazing books. 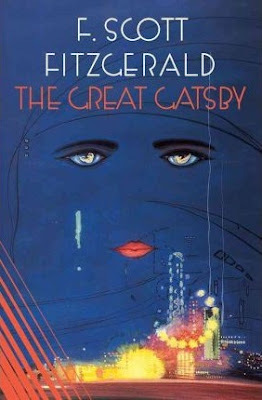 I first read The Great Gatsby in 2014, and was distinctly underwhelmed. But in winter 2014 - spring 2015, I studied it, and my opinion was utterly changed. Now, the only book on this list that comes near to my love for Gatsby is The Goldfinch. I didn't want to include it, as I did read it first in 2014, but I couldn't leave it out. I love it transcendingly. 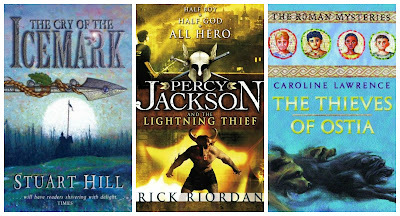 Children's books reread this year: The Cry of the Icemark by Stuart Hill (review here); Percy Jackson #1-4 by Rick Riordan (review here); Roman Mysteries #1-5 by Caroline Lawrence (review here). I have enjoyed restarting these series inordinately, and will gleefully continue with them all. I just ordered Blade of Fire (Icemark #2) and I'm going to binge it and the last one over Christmas! SO EXCITED! I'm also very pumped to read The Last Olympian, and then move onto the next Percy cycle. I'm planning a whole post dedicated to these books (I know, aren't you guys lucky), but I couldn't go without mentioning these marvellous items, read this year. The World's Wife is a beautiful collection taking famous men - real and fictional - and imagining the women in their lives. If you're new to poetry, I'd really recommend Carol Ann Duffy; her work is very accessible, as well as being very beautiful. 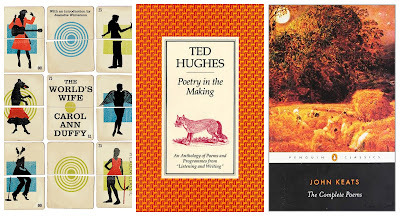 Ted Hughes is my favourite poet and forever bae, and Poetry in the Making is a brilliant book about writing poetry. If you write poetry - or indeed, if you write anything - it's a must-read. Keats' work is glorious. Lilting, meandering, confusing at times, sometimes patchy, but full of feeling and eloquence. Keats was only 24 when he died, yet he remains one of the most important English poets. There we go! Before I close, I'd like to give a very honourable mention to Crown of Midnight by Sarah J Maas, which was a riveting sequel to Throne of Glass. I'm so excited to read Heir of Fire! 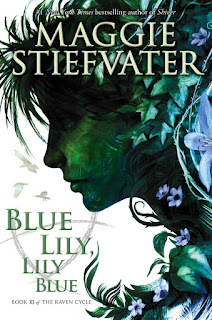 Now here's the hard question: best book of 2015? Maybe top three, if I'm generous. Best reread? Best sequel? Have you read any good poetry? Oh, and what was the most disappointing book? By the way, if you're a TTT-er: link me up to your post! I have never read anything by Atwood and I have no idea why, I feel like I would love them! 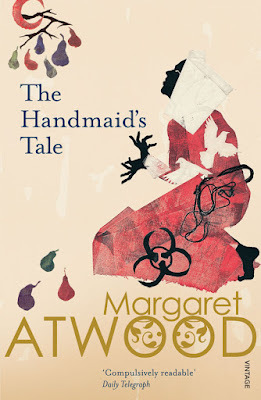 The Handmaid's Tale is the only Atwood I've read but it is AMAZING! The Goldfinch was amazing! Have your read The Secret History by Donna Tartt too? Even better. 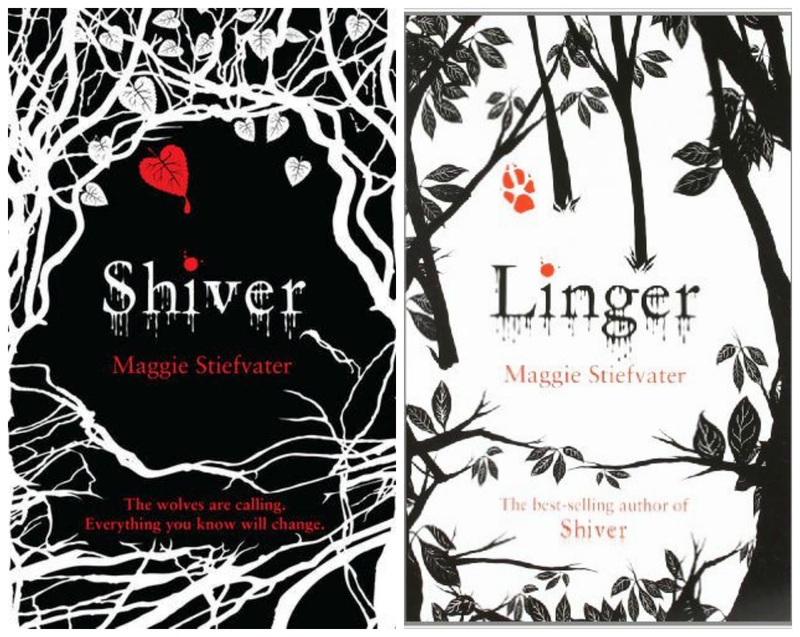 Love the Shiver series as well as The Raven Cycle. 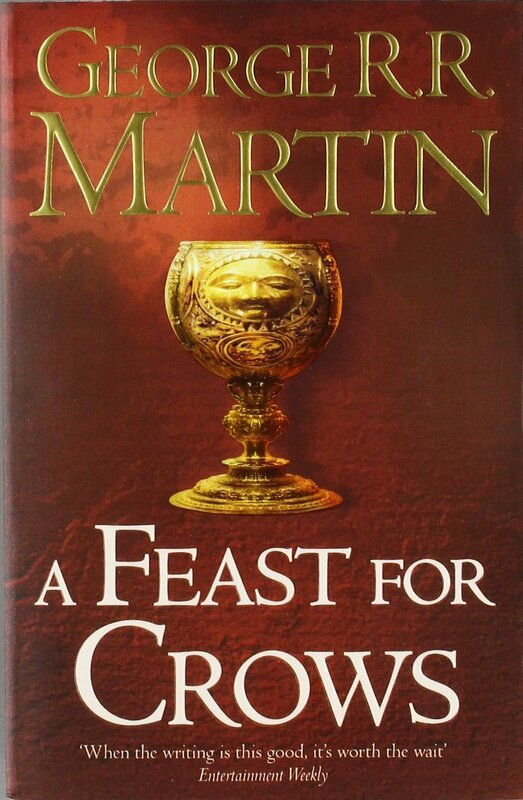 I need to get around to A Feast for Crows, I really liked the Jaime POVs in A Storm of Swords. I've just been hesitant because I know a lot of my favorite POVs are in A Dance of Dragons and not Crows. You have a great list! Great list of books ~ definitely adding some to my TBR pile. Joined your site through GF. Thanks for stopping by my blog. You definitely should! Thanks so much for following, Renee. I like the variety of books on your best of list. 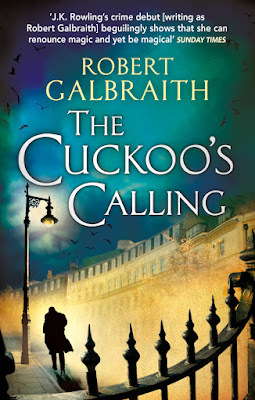 I need to start the Galbraith books!! You really do! I'm going to read The Silkworm as soon as I finish the Game of Thrones I'm on. So excited.